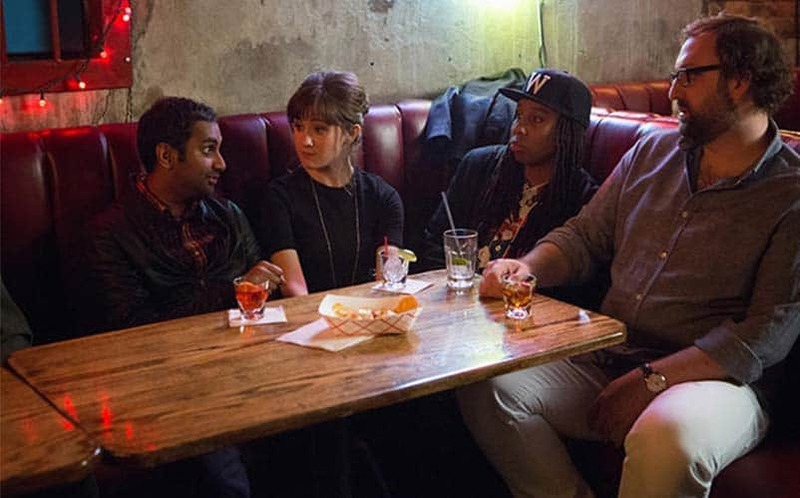 Master of None Season 1 Review: Louie-like Gold | Nerd Much? We already knew that Aziz Ansari is a funny dude. His role on Parks and Recreation as Tom Haverford, entrepreneur, was portrayed flawlessly, and his stand-up routines are always hilarious. 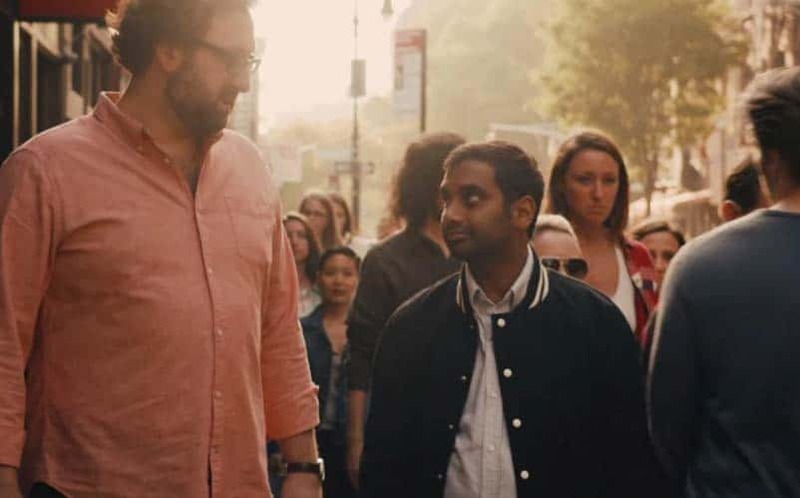 But when Netflix announced that Aziz was getting his own TV series, Master of None, we were surprised — not that we didn’t already love Aziz, but we weren’t sure if he could hold up a television show on his own. Luckily, Season 1 of his series has proved us wrong — way wrong. In fact, after watching all ten episodes over the past few days, it’s safe to say that Master of None is now one of our favorite new shows. There’s a lot to love about the series, but I’ll start with the interesting cast. It’s not filled with the usual, too-good-looking cast that plagues most network television shows. Instead, it features a realistic-looking and diverse cast (which, in and of itself is an indirect commentary of typical Hollywood casting). The cast includes Noel Wells (female), Lena Waithe (black lesbian), Eric Wareheim (overweight) and Kelvin Yu (Asian), as well as Aziz’s parents, Fatima and Shoukath (all of which are Indian, of course). But the show doesn’t make a point out of these characters, meaning the show doesn’t scream “hey, look at the lesbian we’ve included.” Instead, Master of None just lets its characters be, free to roam about the series as normal people that the audience can relate to. As far as the show’s content, the series follows Dev (Aziz), and his relationships, with a focus on his new girlfriend, Rachel. The show traverses interesting topics that, again, audiences can relate to. For example, one of the episode focuses on our general unappreciation for our parents as a society, with Dev and Brian (Yu) taking their parents out to a thank you dinner. The first episode, “Plan B,” sees Dev taking on his friend’s kids for the day, realizing that being a parent takes away virtually everything he loves about not having children (with one hilarious conversation about pasta, I might add). But the brilliance of Master of None is that it typically takes a two sides to the story approach when delving into sensitive topics. That particular episode shows the pros and cons of being a parent. Another episode dives into gender inequality and the unfair treatment of females in our everyday life that might not be apparent to males (in this case, Dev doesn’t think a man snubbing women of handshakes is sexist, until Rachel opens his eyes). Each episode tells its own delightful story. “Old People” is a commentary on our treatment of the elderly, with the series pointing out that we should open up our hearts to the parents of our parents and treat them with more care and attention than we do. “Nashville” follows a risky first date that pays off. It’s also filled with the Aziz charm, which I’ll describe as the ability to act silly without being considered childish. With every funny face, we chuckle, and when Dev makes a note about what he considers to be the finer things in life (and by things, I mean “stuff”), we laugh. Every episode in the series deserves a watch, and there wasn’t a moment in Master of None that would be considered filler. As a whole, the series focuses on our seemingly infinite choices, all of which are right at our fingertips. Instead of picking any taco place, Dev researches the best tacos of New York City, only to find out that the taco stand is actually out of tortillas. He goes on a handful of dates, all of which he finds with a dating app on his phone, all of which end up being miserable experiences (like one girl who is hilariously scamming him for free meals). It’s ironic that Aziz is able to spoof the dedicated consumerism that many of us have (guiltily, including myself), given that his persona (at least, what we’ll now consider to be just a persona) is so tech and stuff-obsessed. Now, we know there’s a deeper side to what Aziz is about, and we’re walking away from the series with a new appreciation for who he is. And, it all comes back to the genius that is Aziz Ansari, a master of comedy that somehow makes us laugh at social issues while still opening our eyes, starting new conversations we might not be having otherwise. Sure, there are also commentaries on mundane stuff like you’d find in Seinfeld (like is cheating with a married woman your problem or hers), and a little of the awkward situations you’d find in Louie (like having to take a little girl to the bathroom, even though you aren’t a relative), but Master of None stands on its own by not being either entirely, but little bit of both, which is what makes it one of the best new TV series of 2015.